Hello wine lovers and happy wine Wednesday! I hope your week has gone well for you so far! I started my French Wine Scholar program last night at the Art Institutes’s Wine College. I know I am in for an exciting 11 weeks as we will be looking, in-depth, at all of the wine regions in France. Last night, we started off with the Alsace region of France which is the second most northerly wine region in France. It is located on the eastern border of France right next to Germany. If you find French wines a tad intimidating, Alsace is a great place to start discovering as they label their wines by the grape variety. So, if you want a Riesling, you can easily find a Riesling! Also, Alsace is the birth place of biodynamic winemaking which is becoming more and more popular in the New World. 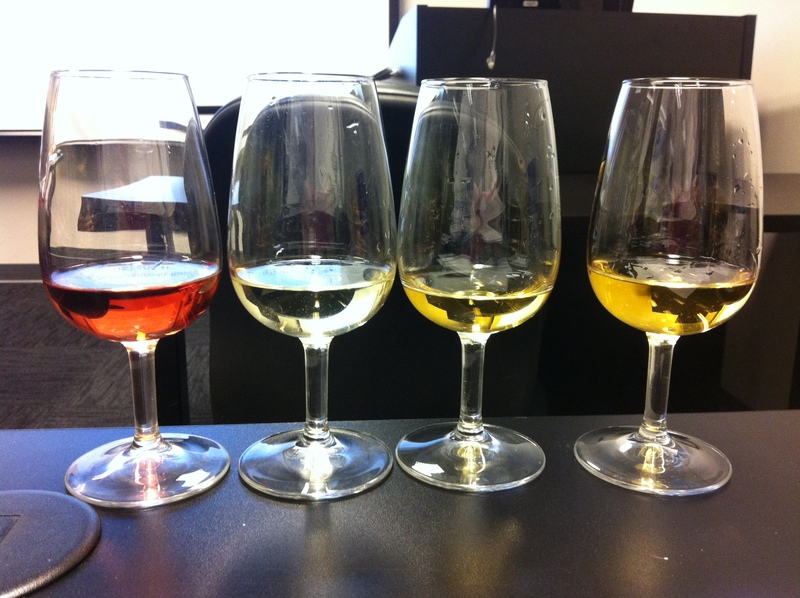 I was thrilled with the quality of wines we sampled in class last night. Unlike my WSET classes which focused on teaching the students how to identify ‘quality’ in wine, the French Wine Scholar program uses excellent examples of wine to showcase the specific region. Fantastic. Albert Mann Crémant d’Alsace Brut 2011 $33.00 – aromatic, crisp and light – sushi. Hugel & Fils Gentil ‘Hugel’ (blend) 2011 $19.99 – very tart, not a fan, quite austere. Phaffenheim Pinot Noir Rosé 2011 $25.05 – strawberries, great value, crisp – picnic. Domaine Marcel Deiss Muscat d’Alsace 2009 $39.99 – minerality, ripe peach – paté. Domaine Zind-Humbrecht Riesling 2002 $56.99 – delicious, complex, honey – duck. Domaine Winbach ‘Cuvée Théo’ Gewürztraminer 2006 $55.00 – I could go on and on listing the tasting notes and aromas of this lovely. Nutmeg, a hint of botrytis, ginger – this is a FOOD wine. Absolutely excellent. Domaine Merisol Pinot Gris 2008 Grand Cru $39.99 – prepare to be blown away by your notion of what Pinot Gris tastes like. This was stunning. I went to Liberty and bought two bottles. It is 2008 and still tastes fresh and lively and has up to another 5 years of aging to go! Medium plus body, off dry, great acidity, balanced – pate. Domaine Zind-Humbrecht Riesling 2006 Vendange Tardive (Late Harvest) Grand Cru $54.99 for 375ml bottle. Marmalade, super fresh tasting, high acid – foie gras. Whew…these wines, for the most part, were exceptionally pleasing and excellent value given the quality. We tasted two Grand Cru level wines! I learned a great deal and the class style is more informal and relaxed. Next week, we study…wait for it…Champagne! Happiness is.